For many people, A-Level is the toughest part of their academic lives. It’s a tremendous step up from GCSE, and therefore it can catch a lot of people off-guard. However, A-Levels aren’t impossible. With determination, planning, and some other smart ideas, you’ll be able to flourish at A-Level. 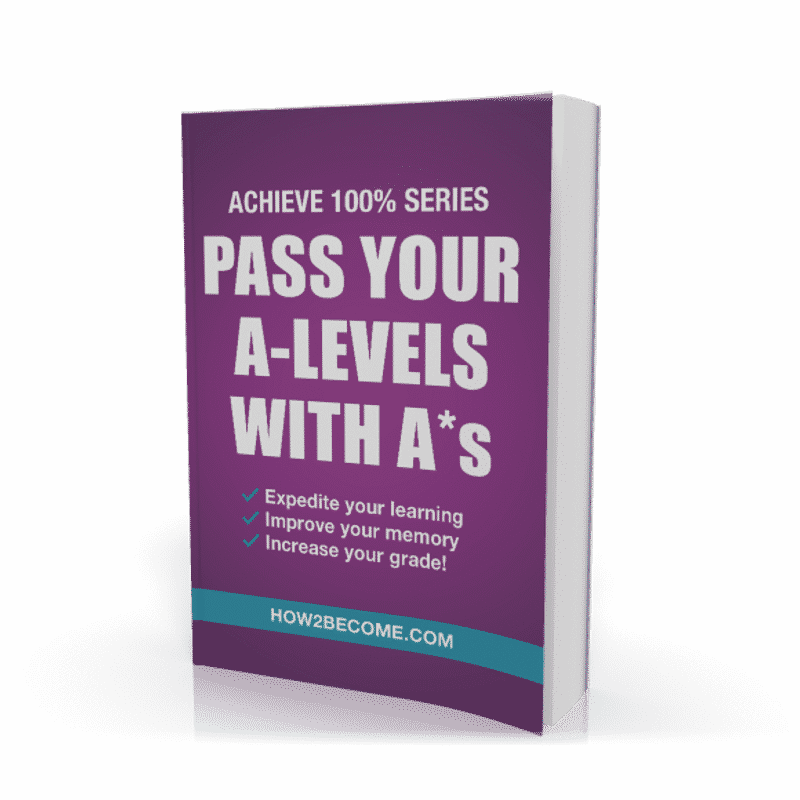 This guide will give you the essential tips and techniques which will allow you to unlock your full potential, and pass your A-Levels with A*s.
A-Levels are advanced courses that students usually take between the ages of 16 and 18, during years 11 and 12. This means that A-Levels come after GCSEs, and students generally need to get good GCSE grades before they can start an A-Level course. 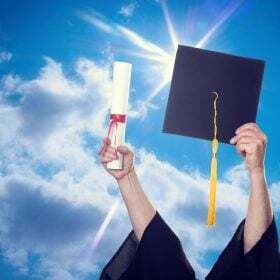 ‘A-Level’ is short for ‘General Certificate of Education Advanced Level.’ They are awarded to students who pass the coursework and exams that make up an A-Level course. There’s a much larger range of subjects available, although this will depend on what your school offers. While they might not seem as important as GCSEs, A-Levels are crucial for getting into university, and also very important for securing some jobs. If you want to be a doctor, lawyer, teacher, engineer, or lecturer, you’re probably going to have to go to university. This means you’ll also need to pass your A-Levels to a standard set by universities. If you want to get into the best universities in the country, you’ll need to be scoring the highest grades possible – As and A*s.
Even if you have no intention of going into these roles or attending university, A-Levels can give you a significant advantage on the job market. Some roles will expect A-Levels as a minimum requirement for entry, whilst other employers will see your strong array of grades as an added benefit, demonstrating that you are capable of working hard, meeting expectations, and even exceeding them. Whether you’re planning on going to university or want to head straight into employment, A-Levels are a vital part of your career, especially earlier on in your life. Revising for an English exam is strange because you aren’t being assessed purely on what you know. In Maths or the sciences, you’re going to be giving ‘right or wrong’ answers, and getting the answer right will depend on how much you know.For example, if you don’t know how to perform differentiation, you aren’t going to be able to complete the questions which involve it. For these subjects, knowledge is a strict barrier for entry. This is even the case in other ‘essay-based’ subjects such as History, where knowing facts and statistics is vital, with some interpretations of historical events being preferable to others (or, at the very least, easier to argue for). Read the material. This might sound obvious, but quite a lot of students don’t bother to read the text outside of the classroom, instead relying on online synopses and second-hand notes. While these are both incredibly useful, they should be used to supplement your reading, rather than replacing it. Reading the material is an important starting point for your revision. While it might not feel like a good use of time, there’s a level of insight that you get from reading a text that you won’t get from reading a synopsis. For example, you could easily look up the most important quotes from Othello and use them in your exam, but if you do this then your answer will look just like everyone else’s. Of course, these quotes are considered important for a reason – they often demonstrate key themes and concepts – so you should make use of them. However, it doesn’t hurt to have some lesser-known quotations up your sleeve to make your argument more nuanced. Underline or make note of the key quotes. In an English exam, quotes are your tools for making and supporting your argument. You can’t really make a claim about a text if there’s no hint of it in the content, form or structure! For this reason, getting a collection of quotes saved in your mind is key to performing well at A-Level. Once you’ve finished reading the text(s), it’s time to head back in and start making note of anything that may be useful to you in the exam. In particular, think about the key themes of the text and find parts of the text which relate to them. For example, if fate is a key theme of Romeo and Juliet, you’ll want to make note of the reference to “star-cross’d lovers”. This is the stage where you can use workbooks and online resources to supplement your learning, since they’ll likely have a list of key quotes that you can refer to. Combine this with some quotes that you’ve chosen, and you’ll have a wealth of resources to help you form an argument. Organising your quotes like this means that you can compartmentalise them better in your mind. It also allows you to create links to quotes within the themes, and even with other themes as well. Revise your quotes. Once you’ve got everything together, it’s time to make sure you remember all of the quotes you’ll need. Depending on what kind of learner you are, the best way to do this will differ. Visual learners may find that writing the quotes down, covering the paper and writing it again and again from memory helps them stick in your mind. Flashcards can be used here as well – the key theme can be written on one side of the card, and the quote itself could be on the other. Aural learners could record themselves saying the quotes out loud, then listen back to them in order to keep them in their head. Find methods which work for you and revise them until you can comfortably recite or write the quotes down. Find wider reading to supplement your quotes. Once you’ve got a robust collection of quotes from the main text, you’ll want to find other material to support it or contrast with it. This will differ depending on your exam board, but some English exams expect use of wider reading to enhance an argument. In fact, exams with this requirement tend to set aside marks for the use of wider reading. In these tests, you need to show that you’ve read more than just the main text. Wider reading can come in two forms. Firstly, there’s wider reading in the form of other novels, plays and poems that you can use to compare characters or themes. For example, you might want to examine how two different texts convey the theme of unrequited love. This is where your wider reading will come in useful. You can organise these into themes in the same way you did for the main text’s quotes. Kinaesthetic learning is all about doing, rather than looking or hearing. Kinaesthetic learners shouldn’t limit themselves to sitting in one place and trying to write pages full of notes. Instead, they should be finding more creative and unconventional ways of learning. There’s a huge range of techniques for a kinaesthetic learner to tap into! Since kinaesthetic learning is such a broad field, it can apply to almost any subject and any kind of information. If you think you might be a kinaesthetic learner, give some of the following techniques a try. Sonnet A fourteen-line poem which is written in iambic pentameter. Has a single, focused theme. Once you’ve written all of your flashcards, turn them all facing front up and sort them into a deck (like a deck of playing cards). Then, take each card, read out the main word on the front, and then try and recall as many of the key facts as possible. You can do this by reading out loud, or by reading in your head – whichever suits you best. Once you think you’ve finished listing them all, flip the card over to see if you missed any details. If you didn’t, congratulations! Put the card to one side and save it for later. If you missed anything, take note of it and put the card back at the bottom of the deck. This means that, once you’ve got through all of the other cards, you can attempt the ones you couldn’t completely remember before. One by one, you’ll start to eliminate cards from the deck, since you’ll remember all of the details for each of them. Once you’ve completed them all, take a short break before trying again. Another method for using cards is to stick them around your workspace. Write a note on each piece of card and leave it somewhere in your room where you’re likely to see it often. Stick some to your mirror or the edge of a laptop screen, or even place them on the wall or on a bookshelf. You can even leave them around your house so that whenever you stop to make yourself a snack or go to the toilet, you’ll still be revising! If your child finds placing notes quite effective, it’s worth letting them place cards around the house. Let your child place the notes wherever its safe and useful for them to do so. Multitasking simply involves doing another activity whilst doing your ordinary revision. By doing this, you’ll start to associate certain facts with the things you do. If you enjoy exercise, try listening to recordings of yourself reading out notes, while going for a run or working out in some other way. If you play video games, stop and test yourself on a question every so often. This probably won’t work as a main revision technique, but it’s a way to do some light revision on a day off, or once you’ve finished the bulk of your studying for the evening. For this technique, you’re probably going to need access to either the internet or dedicated workbooks. You’ll want to find games or other interactive tools which involve doing things rather than just reading them. For example, one game might require you to match up key words to their meanings, or key dates to the events which occurred on them. You can actually do this one yourself, in the same way that you made flashcards. Cut up a large piece of paper in separate pieces, and then on half of them write a key word. Then write something related to each key word on all of the other pieces. Shuffle up all of the cards, then try to match them up. You should also check online for other learning games. As always, double check that the content of the games matches what you’re learning in class, so you don’t confuse yourself. Am I a kinaesthetic learner? If you find yourself doing things rather than reading or listening, then kinaesthetic learning might be the style for you. You might find that it’s much easier for you to do something for yourself, rather than ask someone to explain it to you. You might also find that you work best in unconventional settings: maybe you work better while exercising than sitting at a desk. This book will take you through the A-Level process, step-by-step. From choosing your A-Levels to what to do in the next stage of your life, this guide covers it all. You’ll learn what kind of learner you are, what revision styles apply to you, as well as tips and techniques for many of the most popular subjects studied at A-Level. With these in mind, you’ll be in a great position to prepare for your A-Levels. A guide to A-Levels – From revision techniques all the way up to coursework advice and exam tips, this book acts as a companion throughout your AS and A2 courses. Exam and coursework advice – This guide is full of expert tips on how to prepare yourself for exams and coursework at A-Level. Tips for avoiding stress – Stress can negatively impact your health, and can also damage your performance. This book devotes time to discussing stress as well as how to avoid it. Advice for parents – This book contains tips that parents can heed if they want to support their children. Example and Sample Timetables –These can be used to get some ideas about how you can plan your revision. Written in a style to help you obtain new revision strategies effortlessly and swiftly, that really work for you.